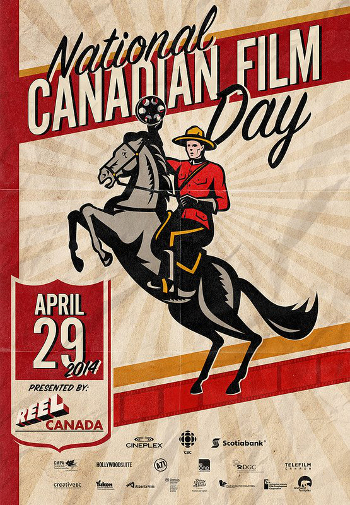 Did you know that April 29th, 2014 is Canadian Film Day? I am pleased to share that we have a new day to celebrate in Canada ~ Canadian Film Day! Our first National Canadian Film Day takes place on Tuesday April 29th! Now I know that is not a long ways off, and you are likely wracking your mind as to how exactly to celebrate this day with austerity! Well, we are here to help with that! Step 2: From the header menu, select See a Film! Step 3: Take your pick – choose a live event (and navigate the map of Canada to find out what is playing in your current Province), discover Canadian Film available online (including free viewing options), or check out the TV Guide to Canadian Film Broadcast options on April 29th! Yes, I know I was a little liberal with the exclamation marks! above, but Canadian Film makes me excited! There is also a fourth option: Host Your Own Screening of Canadian Film in your living room or backyard! Rather a great way to show your family and friends what you’ve been working on (including here at BCIT)! We Are Here at the Vancity Theatre at 6:30 pm. Reaching Blue at Cinematheque Theatre at 7 pm. Neurons to Nirvana at the Vancity Theatre at 8:30 pm. You can find Canadian Film Events across the rest of BC, by clicking here. Want to do more and show your support for Canadian Film? Talk about Canadian Film on your social networks, using the #CanFilmDay hashtag. Let your friends know that April 29th, 2014 is National Canadian Film Day. Connect with Canadian Film Day on twitter, facebook, google+ and flickr for ideas on sound bites to share and news on Canadian Film Day events. 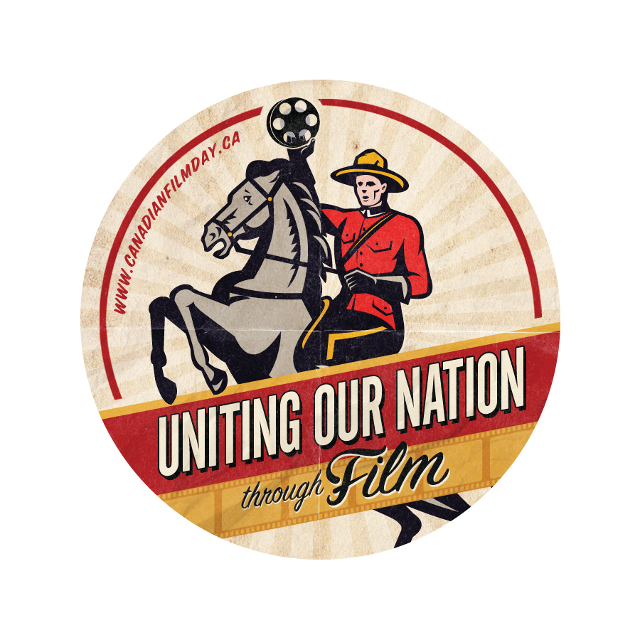 And last, but certainly not least, change your social networking icons to the Canadian Film Day Mountie below, from now until Tuesday April 29th, 2014. Oh, and where able, add the text #CanFilmDay to the avatar description. Happy Canadian Film Day everyone!